I’ll begin this month’s newsletter with a big and heart felt thank you to all of you who participated as speakers, attendees, exhibitors and sponsors of the association’s inaugural Knowledge Fair & Expo. Board members and I greatly appreciated your positive and constructive comments on how we can make this an even better event in 2018. The event generated immediate media coverage from the Albuquerque Journal and from Albuquerque Businesses First. Like many of you that attended the event, the media discovered a dozen or more game changing firms from across the state. These firms are candidates for future media profiles. The Knowledge Fair has also resulted in several new firms joining the association (we’ll provide profiles of these firms in our December newsletter). Shortly after the event, I met with AED President Gary Tonjes and several of his ABQ economic development staff members. I’ve since forwarded information from the Grow Bio report as well as from a study commissioned by the Biotechnology Innovation Organization (BIO) on the competitiveness of NM and other states when it comes to recruiting companies and nurturing existing companies. Gary and his team will now recognize and market the biosciences as one of NM’s key business clusters and dedicate a page on its website to the sector. We will be forwarding membership renewal invoices in December; payment is expected by January 31. However, if you wish to pay your 2018 dues in 2017, go to our website —http://nmbio.org— and pay by credit card (before we consider raising dues 😀). Also, I’m hoping many of you will take advantage of the association’s preferred providers and the significant pricing discounts that firms such as UPS, Office Depot, VWR, TriNet, Likarda, ALT, Business Wire, AON and DMVG are offering you. Want to learn more about our preferred providers, their services and prices? It’s easy. Schedule a phone call or personal meeting with me. In addition to giving you great deals, these firms provide the association with small royalty payments that help cover some of our business expenses and allow us to host events such as the Knowledge Fair & Expo. In this month’s newsletter, we’re featuring TriNet, our newest preferred provider. Its in-depth HR service offerings include health insurance. 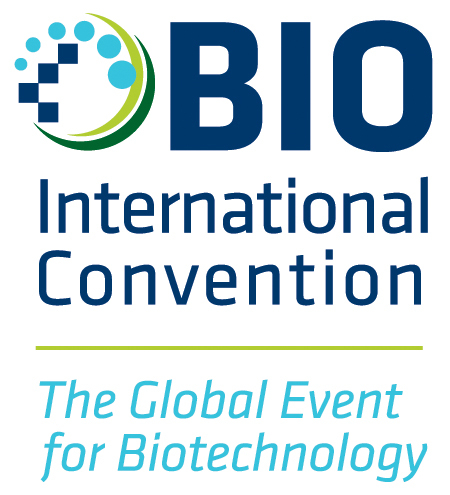 Are You Planning to attend BIO 2018 in Boston? Based on last year’s success in San Diego, the association has committed to leasing additional exhibit space for a New Mexico Pavilion in Boston. The conference will be held from June 3 to 7. Anticipated attendance is expected to exceed 16,000 professionals from 74 countries. There will be 1,500 educational sessions. If you’re interested in participating, please contact me ASAP. I’ve reserved a great location that requires the association to make a significant downpayment by December 1. Firms that exhibit in the NM Pavilion avoid paying a $2,000 fee to participate in BIO’s hugely popular and successful One-on-One partnering program — http://convention.bio.org/partner/ In addition to bioscience companies participating in the pavilion, we’ll seek to recruit some of the state’s leading economic development professionals to join us and market NM and its incentives globally. There are several SBIR and STTR funding opportunities from the National Center for Advancing Translational Sciences (NCATS) that might help you advance your research and/or technology! Learn more about the targeted grants and contracts available, and find out if you’re eligible to apply. The next deadline is January 5, 2018. The National Center for Advancing Translational Sciences (NCATS) Small Business Innovation Research (SBIR) and Small Business Technology Transfer (STTR) programs. NCATS, which is part of the National Institutes of Health, offers small business funding opportunities for entrepreneurs and researchers aiming to commercialize new technologies and platforms that can improve translational research and health care. NCATS encourages researchers and entrepreneurs to apply for funding particularly in these research areas: drug discovery and development, biomedical, clinical and health research informatics, clinical, dissemination and implementation research, and clinical trials. With funding support from the New Mexico Gas Company, the Arrowhead Center — the entrepreneurship and innovation hub at New Mexico State University — has launched a new program to accelerate the growth of New Mexico business ideas in the digital health industry. HealthSprint is a five-month venture builder program designed to support innovation in digital healthcare. It will culminate with Health Assembly, a demonstration day and conference in June, providing a platform for entrepreneurs to connect with funders, partners and customers. The digital health industry includes products and services related to mobile health, health information technology, wearable devices, tele-health telemedicine, and many others. HealthSprint aims to accelerate the growth of these business ventures by offering dedicated business development, financing, testing and connections under one roof, much like Arrowhead’s successful AgSprint program recently did for agricultural technology ventures. Zetdi Sloan, director of the Arrowhead Technology Incubator and the HealthSprint accelerator, said NMSU’s service mission as the state’s land-grant institution and its significant breadth of expertise and health programing across many disciplines makes the university uniquely positioned to benefit entrepreneurs interested in the digital health industry. The initial four-week customer discovery period is modeled on the National Science Foundation I-Corps program. Those who show promise will also be invited to continue the program for the next four months and will have access to demonstration and validation partners, investment consideration for the Arrowhead Innovation Fund and NSF I-Corps lineage enabling them to apply for an additional $50,000 in federal funding. Teams do not need any prior NMSU affiliation to be considered, and selected businesses can participate in the program’s curriculum and its weekly workshops virtually or in-person, making HealthSprint accessible for health technology entrepreneurs in even the most rural areas of New Mexico. Up to 10 New Mexico companies will be accepted into the accelerator, and each will receive $2,000 to support their customer discovery and to cover the expenses of professional services such as technical writing, website development, counsel on patents and technology licensing, and regulatory consulting. One company will also receive a $20,000 seed investment. Each HealthSprint team has a required structure, including an entrepreneurial lead based in New Mexico, a technical lead and a business mentor, and Arrowhead Center can help connect applicants to potential team members who could fill any roles that are missing. Applications for HealthSprint are open through Dec. 10, 2017 at arrowheadcenter.nmsu.edu/healthsprint. The cohort will meet Friday mornings beginning in January 2018. 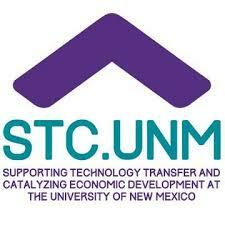 This year’s final board meeting is scheduled to be held from 2:30 to 4:30 pm at STC-UNM’s facility at the Lobo Rainforest building. This year’s holiday party will be held from 5 to 7 pm at BRAVO Cucina Italiana restaurant at the Uptown ABQ Mall, 2220 Louisiana Blvd NE, Albuquerque. In addition to premium wine and beer, there will be a wide variety of Italian specials to sample as well as desserts, coffee and tea. The event is free to NMBio members; prospective members are welcome to attend for $35. BIO is pleased to again provide FREE access to its One-on-One Partnering system during the J.P. Morgan Healthcare Conference, January 7 – 11, in San Francisco — J.P. Morgan Healthcare Conference (JPM). NMBio members are welcome to take advantage of this well-known, sophisticated scheduling system as a benefit your membership. This unique industry service will allow you to connect with biotechs, investors, in–licensors and others using BIO’s partnering system. It is available to you regardless of whether you are attending any particular event during JPM week. Additionally, if needed, BIO is offering competitively priced meeting space at the San Francisco Marriott Marquis, which is conveniently located near Union Square. Are you interested in learning how to leverage non-dilutive funding to advance your health and biomedical research? Through its Small Business Innovation Research (SBIR) and Small Business Technology Transfer (STTR) funding opportunities, the National Center for Advancing Translational Sciences (NCATS) at the National Institutes of Health can help. TriNet provides HR solutions to small and midsize businesses so you can focus on what your company does best. Its bundled HR products, TriNet Cloud applications and strategic services simplify your HR. Tailored by industry, TriNet’s bundled HR products cover the core services of payroll, benefits, risk & compliance, an HR team and a cloud platform. TriNet partners with more than 12,000 clients in a variety of industries (as of 12/31/15). It managed more than $31 billion in payroll and payroll taxes in 2015. Click here to learn more and register for this program.